The Rockets lost to the Warriors in the Western Conference Final last season. As the NBA playoffs keep approaching, predictions are being made as to which teams will win their respective conferences and compete for an NBA title. Last season, the race to win the Western Conference was fairly tight as the Golden State Warriors and the Houston Rockets embarked on a seven-game series. The Warriors ended up winning and made it to their fourth straight NBA Finals. This year, the Warriors are expected to go back to the big dance, although the Rockets are gearing up to beat them again. In an interview with The Athletic, Rockets head coach Mike D'Antoni said he's confident his team can pull off the win. "Well, I thought we had a great crack last year, so I don't know - we'll see," D'Antoni explained. "I'm confident, as I was when we were 11-14, that we'll give them a run. Now they might beat us. They're the best team. They're the champs right now. They've proven it, and they've got nothing to prove." 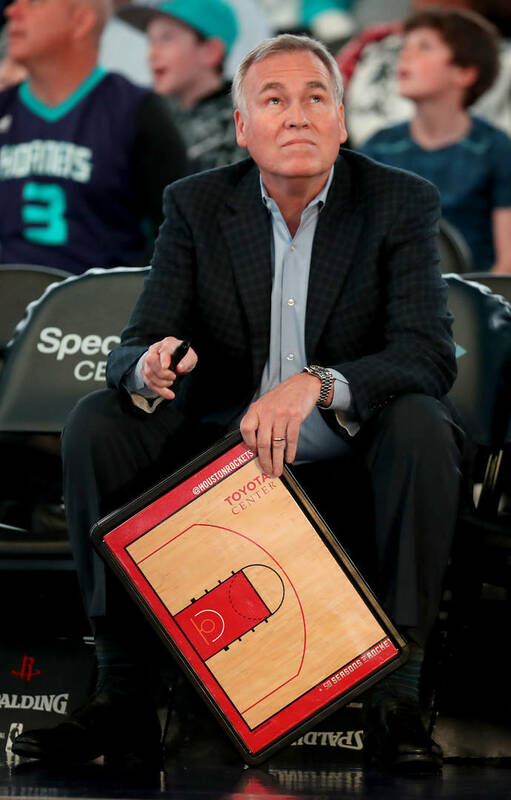 D'Antoni raised the point that the team had a lackluster start to the season, although he praised his squad for persevering as the season progressed. "We never lost faith," D'Antoni said. "The players never lost faith. And I kept telling them, obviously it's great that you don't lose faith but if you think you're OK y'all are crazy. We're not OK, but we will be OK, and you have to have that confidence." With four regular-season games remaining, the Rockets are ranked third in the Western Conference with a record of 50-28.